OnePlus launched the most-anticipated OnePlus 6T device on October 29 this year. The 3.5mm headphone jack is no more available, the wide notch shrinks to a waterdrop notch, and brings In-Display Fingerprint Sensor. After the predecessor OnePlus 6, the 6T becomes flagship killer device in an affordable starting price tag of Rs. 37,999 ($538). The device runs on OxygenOS based on Android 9 Pie out-of-the-box. The OxygenOS is smoother, faster like the stock Android. However, some of the customization lovers want to tweak or try any custom ROM on their Android smartphones. If you want to install any custom ROM, you have to Unlock Bootloader on OnePlus 6T. Now please note that Unlocking the Bootloader is the first and important part of rooting a smartphone. It’s a part of firmware that boots up the OS for installing any system related file. Unlocking the Bootloader doesn’t require any technical knowledge or skills. 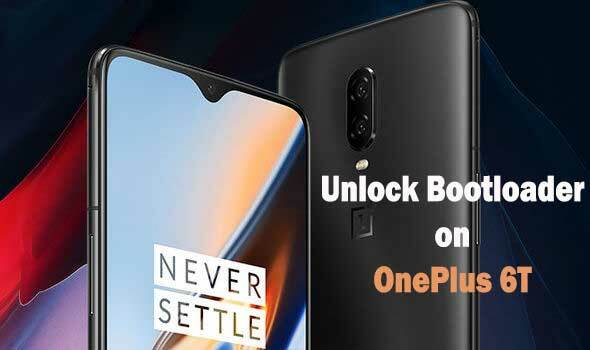 We will try to guide you the easiest way to Unlock Bootloader on OnePlus 6T device. This process will void your OnePlus 6T device warranty. So you have to try it at your own risk. TheDroidGuru.com is not responsible for any damage happened to your device(s) while following this guide, Proceed at your own risk. Please Note: Before doing anything, take a full device backup including all of your data. Because the process will wipe your device data completely. This guide is for OnePlus/OnePlus 6T devices only. Keep your device battery charge more than 50%. Install OnePlus 6T drivers on your PC/Laptop. Go to ‘Settings’ > ‘About’ > tap 7 times on ‘Build Number’ to enable ‘Developer Options’. Install ADB and Fastboot drivers installed on your PC. Follow the in-depth step by step guide below to safely Enable “Developer Option”, “USB Debugging” and “OEM Unlock” On OnePlus 6T devices. Step 1. Now connect your Mobile to the PC and go to ADB directory and open the command prompt and type the following command to boot your device into bootloader. Step 2. Now open the ADB folder and open the Command prompt there. 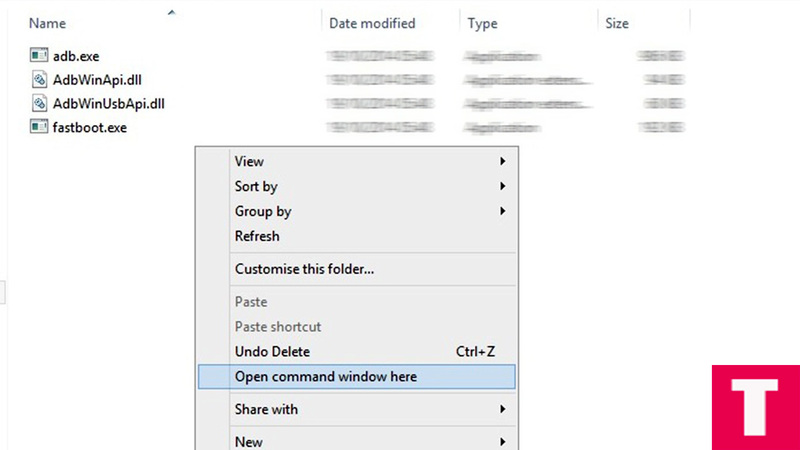 (shift + right click anywhere within that folder and select open command prompt here). Step 4. If your phone has recognized by the command above, issue the following command to unlock the bootloader. Done!!! You have successfully unlocked the bootloader of your OnePlus 6T Phone. If you have any question or suggestion regarding this post, feel free to post them in the comment section below.